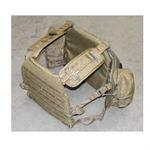 The " DACH " ( Direct Action Chest harness ) Is the smaller version of any HSGI chest rigs . 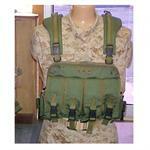 It has padded H-Harness style shoulder pads that are adjustable to fit the user . "Hercules" Plate Carrier Adapter allows you to carry up to Large E-SAPI plates to the New Version Warlords , Denali and Silverthrones . 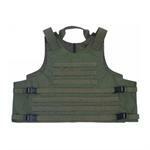 Our Modular Panel Carrier is designed to combine your ballistic vest and tactical vest into one unit. 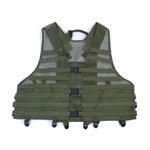 If you need a tactical vest but can't find one that suits your needs, then our Modular Tac-Vest could be your answer.